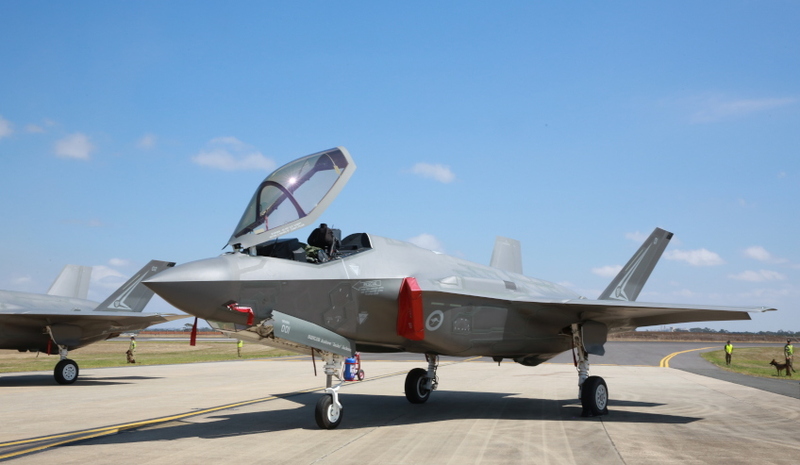 The countdown for the arrival of Australia's first F-35A Joint Strike Fighters is well and truly on, and global defence giant Lockheed Martin is deep in expansion mode at RAAF Base Williamtown. In preparation for F-35 deliveries to RAAF Base Williamtown commencing in 2018, less than 500 days away, the establishment of Lockheed Martin-provided F-35 sustainment services in Australia is already taking shape, with more work slated to continue well into 2018. "A Lockheed Martin team of expatriate and Australian staff is providing support to the F-35 Autonomic Logistics Information System (ALIS) information system, including the certification of ALIS to meet Australian sovereign regulations and interface requirements," a Lockheed Martin spokesman told Defence Connect. As the company works on establishing its presence at Williamtown, more jobs, across a broad range of areas, will be on offer. "During 2018, Lockheed Martin services at Williamtown will expand to include specialty jobs for supply chain, training, aircraft system and support equipment field services. "Lockheed Martin will also establish a prime contractor presence at the F-35 Airframe Maintenance Repair Overhaul and Upgrade facility at Williamtown to provide Original Equipment Manufacturer (OEM) oversight for our sub-contractor BAE Systems Australia to build its F-35 depot level maintenance skills." NSW defence advocate John Harvey was bullish about the opportunities the company's expanding presence will have in NSW, while discussing the expansion plans at a NSW Legislative Council’s standing committee on state development hearing. "I was at RAAF Williamtown about two weeks ago, and it was great to see the work that is being done for the Joint Strike Fighter VA systems," said Harvey. "I was talking to Lockheed Martin last night about how they are going to expand there. We are certainly committed to making it work, and if there are any concerns we will engage directly to address those concerns and make sure everyone knows we are committed to making sure that everyone knows we support defence there and it is a good outcome for NSW." And Lockheed Martin Australia's chief executive Vince Di Pietro said the company's presence will continue far into the future through the fifth generation air combat project. "Lockheed Martin is uniquely placed as the F-35 OEM to partner with the Australian DoD and Australian industry to fulfil the vision for a fifth generation air combat capability," said Di Pietro. “We will be a trusted long-term local partner in delivering best-for-capability outcomes for the RAAF’s F-35s." Australia has ordered 72 F-35As, with potential for a fourth Australian squadron that would bring the number to 100. So far, 15 Australian companies have contributed to the project. It is estimated that the contracted value of the project's Australian industry partners exceeds $800 million.